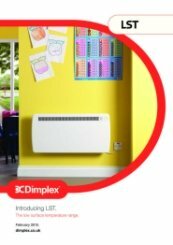 The Dimplex LST range has been specifically designed to meet the heating requirements of particular environments where vulnerable members of the community such as the young, elderly or infirm are liable to be present. 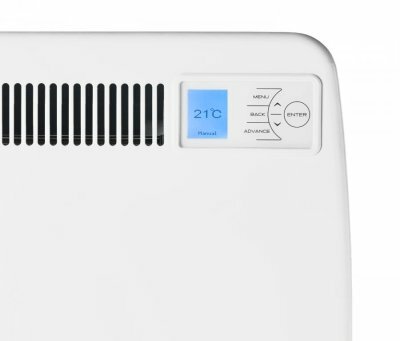 Each fan-assisted heater has been optimised to give the maximum output to efficiently and rapidly heat the room from the most compact and slimline size available, ensuring that no part of the heater exceeds 43°C surface temperature.The LST monitors the effect of its actions on a room's temperature. It knows precisely how long it takes to get to the desired temperature and when to turn off as it approaches that target temperature. 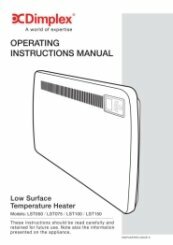 This minimises the energy that it uses while maximising comfort - keeping occupants warm for the lowest possible cost.An integral fan allows the LST heater to heat the room up more quickly and react more responsively to changes in room temperature than non fan-assisted heaters. This means improved control, comfort and energy saving. 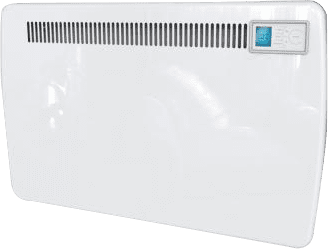 Utilising fan tachnology also means that it is possible to achieve a higher heat ouput than comparably sized non-fan assisted convector heaters, yet still comply with surface temperature restrictions. 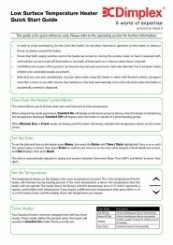 Control Touch-sense controls with pre-set timer modes, holiday mode, user timer, eco mode and frost protection. Efficient, prompt service. Items packaged well which meant items arrived undamaged. Brilliant to hear, thank you for the great review. very good service on delivery and return. Thank you for the fantastic feedback and 5 star review. 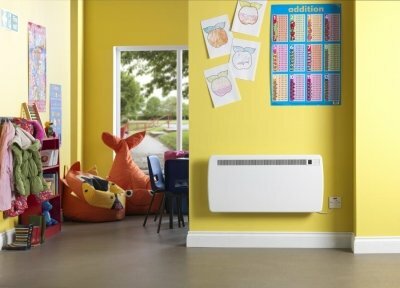 Great heater for the children’s playroom due to it being an lst heater. Didn’t seem hot at first but once you work it out and get the programmes set to your liking it does the rest itself! Thank you very much. We love an A* and appreciate your fantastic feedback. Very good heater where vulnerable people are around. 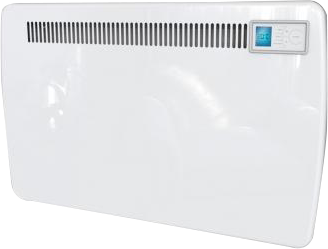 Excellent quick next day delivery of good quality heater.